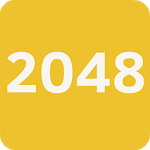 Join the numbers and get to the 2048 title. 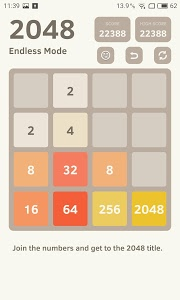 Use your swipe screen to move the tiles. 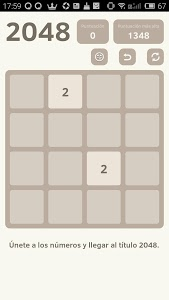 When two tiles with the same number touch, they merge into one! In order to win the game you should have a specific strategy. If you do not have one, you will most probably not reach further than 512. 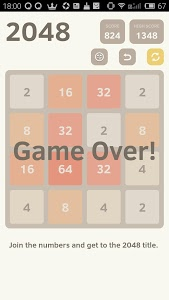 So, a good strategy is to always keep your highest value tile at one of the corners. Just choose one corner and direct all your tiles there. It is not as easy as it sounds, but you can master it quickly. In order to stop the highest value tile to leave "the king's place", try to pack tiles around it. 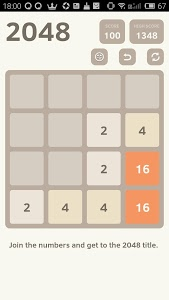 Preferably, they should be the other biggest tiles. 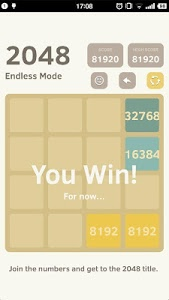 Master this simple strategy and you will soon reach 1024 and even win the 2048 Game! 3. 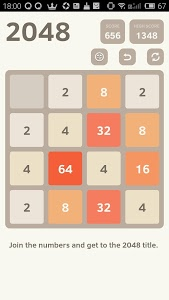 Support cheat , you can remove all 2 tiles if you like. 4. Support undo, if you make a mistake, you can undo. 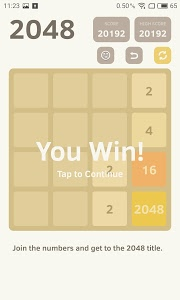 Hope you can get the 2048 tile .